15 500 Kč tax incl. 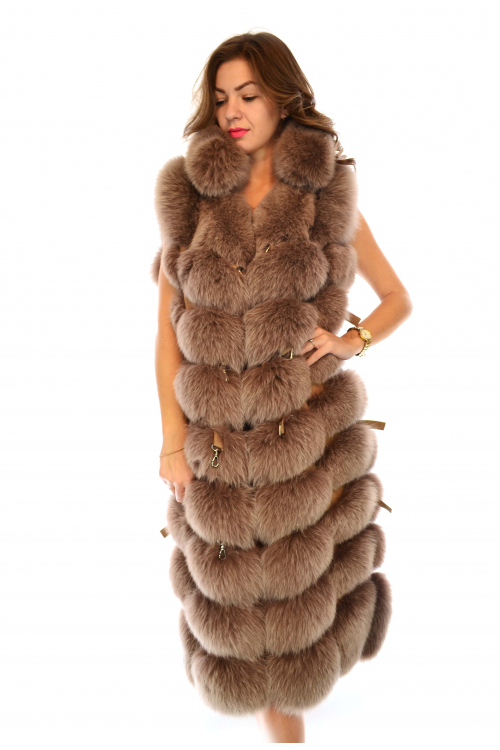 Female vest made of silver fox fur. 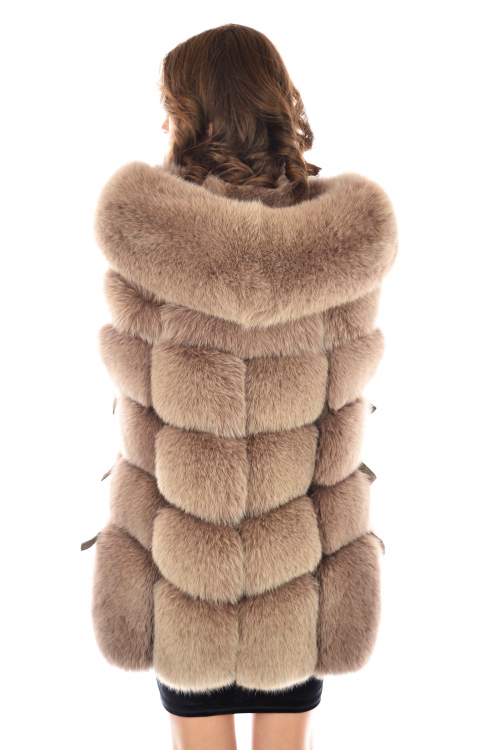 Each vest is unique, handmade from specially selected skins of the best quality. 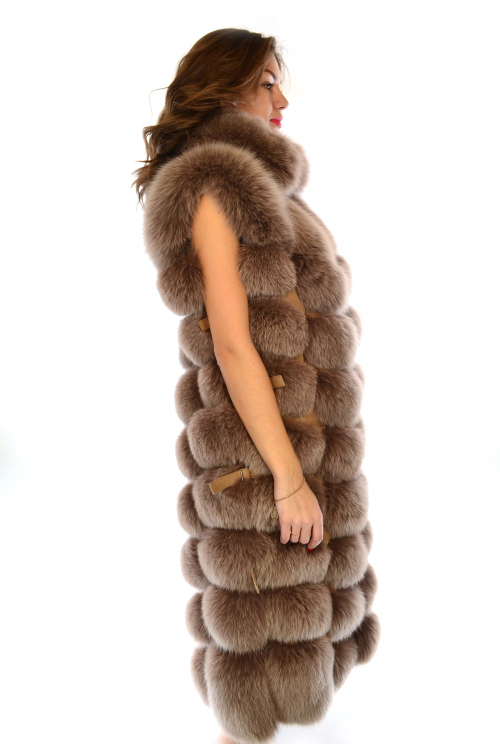 Thanks to the unusual cut and elegant dense fur, the model looks impressive and original. The vest of fur fasten to hooks. Sewed of plates in the form of rectangles, has a straight silhouette. It can be worn with a leather jacket, a warm sweater, a golf or a tunic.